Full Flight Birds of Prey has recently developed a research project with the support of Federation University and the Department of Environment, Land, Water and Planning (DELWP). 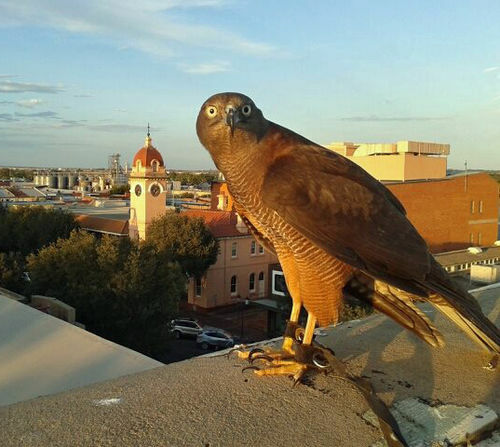 This project will allow us to evaluate the efficacy of using raptors as a means of pest control for problem birds such as cockatoos, starlings and mynas. You can find out more about this research project here. Full Flight provides a wide range of pest management plans for problem birds - including trapping, nest removal, and raptor-based bird removal. Pest management is a specialised problem, and requires a specialised solution. An understanding of the pest bird's behaviour, pattern and history is vital in implementing an effective removal plan which actually offers results. Services can be provided almost anywhere - vineyards, warehouses, industrial areas, venues and more.